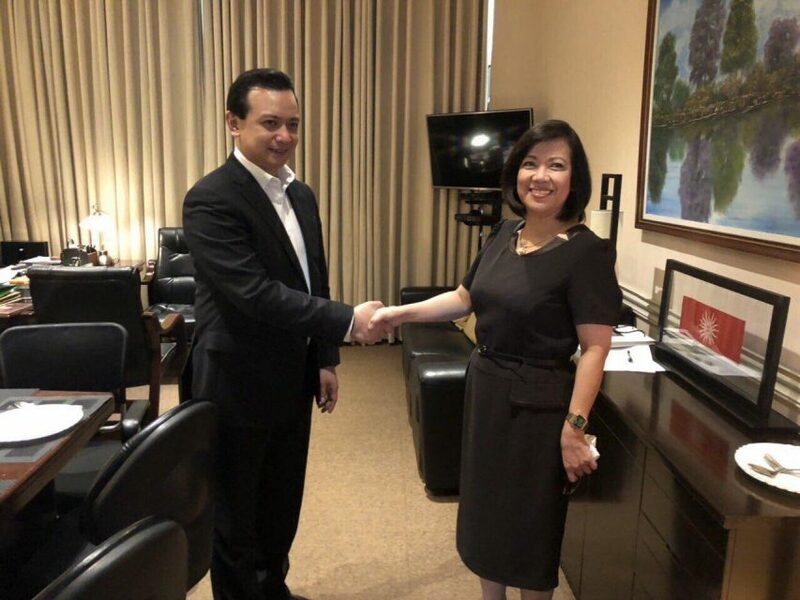 (Eagle News) — Ousted Supreme Court chief justice Maria Lourdes Sereno visited Senator Anotnio Trillanes IV in his Senate office at noon today, Wednesday, Sept. 12, 2018. 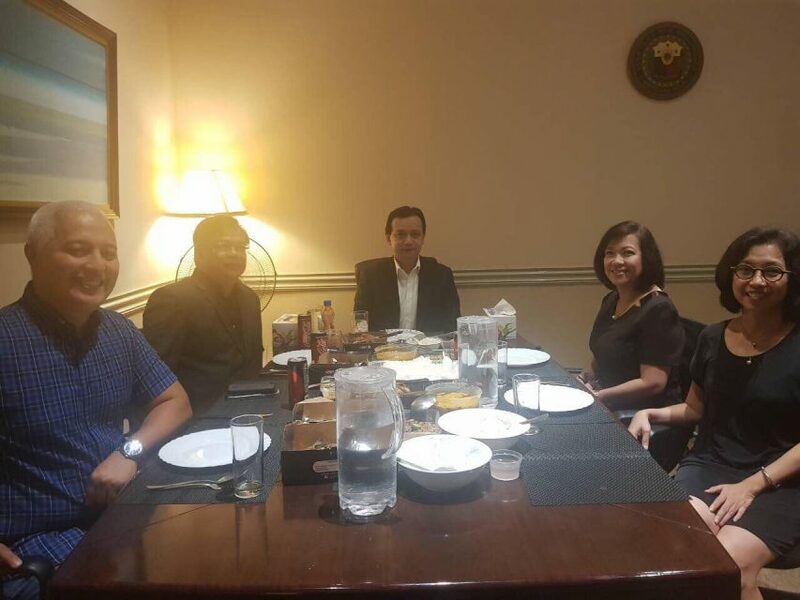 Trillanes and Sereno, along with their key staff members, were having lunch inside the senator’s office as of press time. 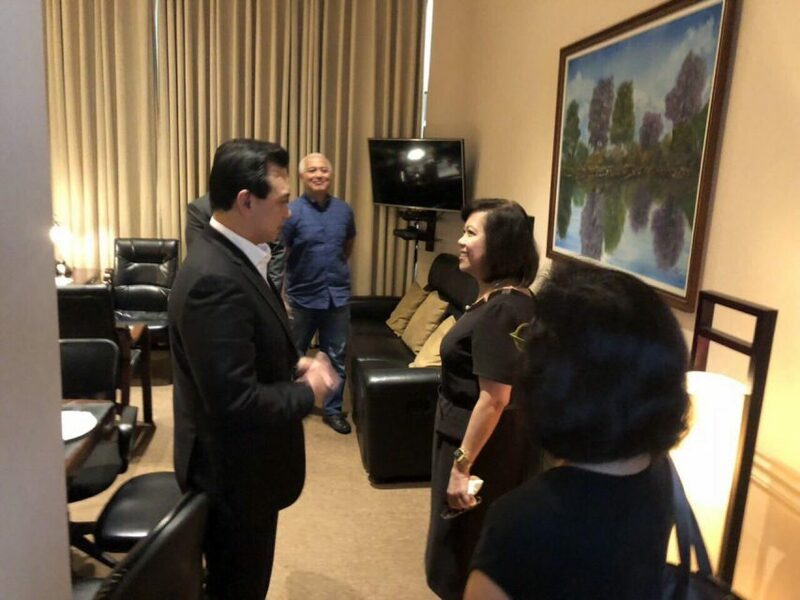 Both are vocal critics of administration of President Rodrigo Duterte. 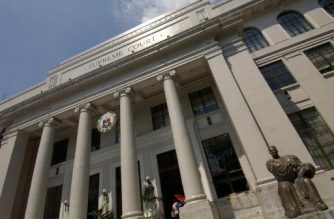 Sereno had been ousted due to a petition for quo warranto filed by Solicitor General Jose Calida. 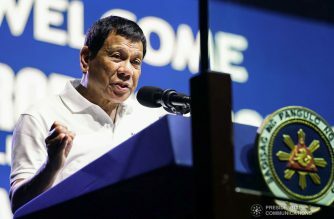 It was also Calida who, according to President Duterte, did the research on the amnesty grant to Trillanes before the crafting of Proclamation No. 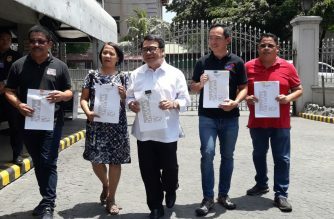 572 that voided his amnesty.